The LUNA™ Reusable Slide is used for cell counting with the LUNA™ family of automated cell counters and CELENA™ S Digital Imaging System. The LUNA™ Reusable Slide may be used for both fluorescence and brightfield cell counting. Place a clean LUNA™ Reusable Slide Coverslip carefully on top of the LUNA™ Reusable Slide chamber. NOTE: Use only the provided coverslip with the LUNA™ Reusable Slide to avoid focusing issues with the LUNA™ family of automated cell counters. 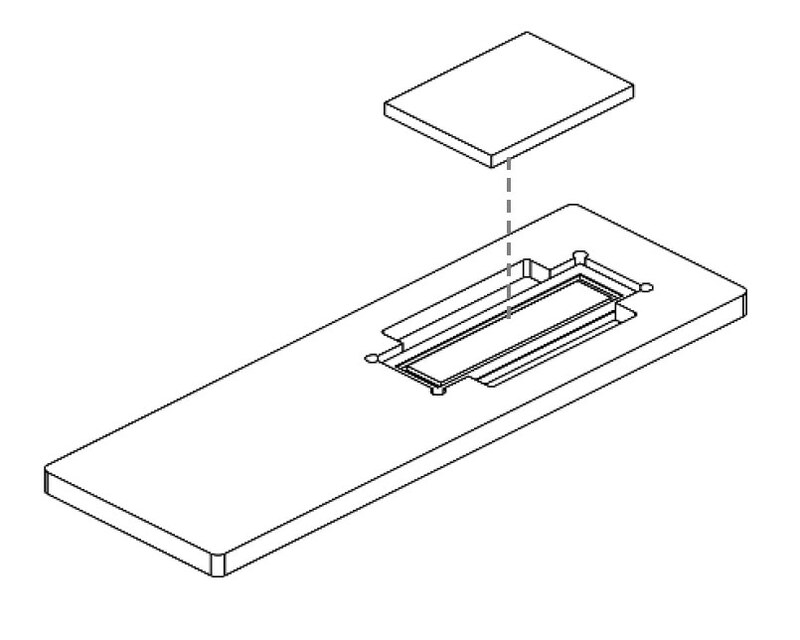 Place the pipette into the space between slide and coverslip at the edge of the chamber. Fill with 10-12 µL cell suspension. NOTE: Do not lift the coverslip with the pipette tip. 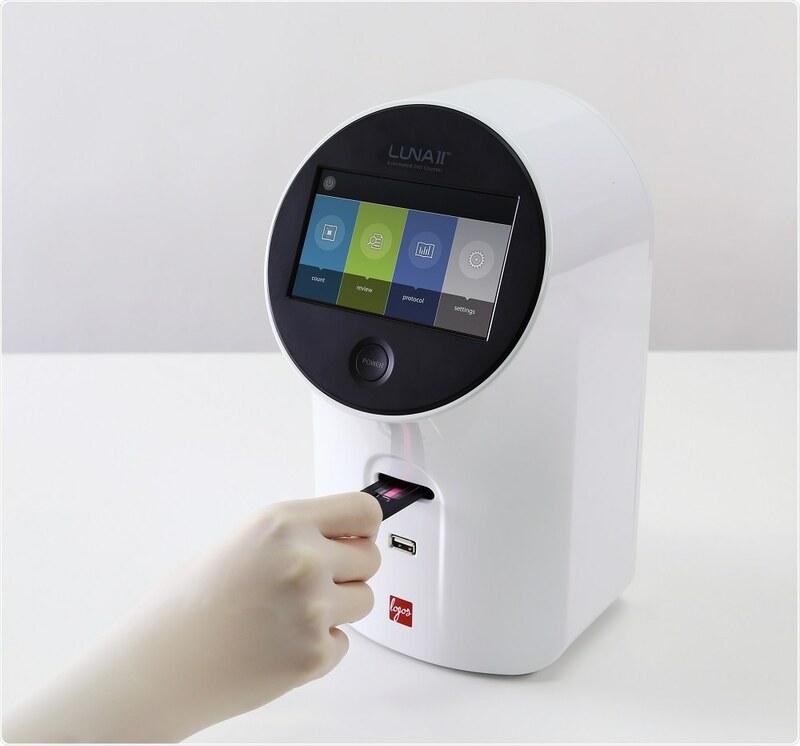 Count the sample with a compatible LUNA™. Read how you can avoid the cost of disposable slides with the latest application note. Rinse the LUNA™ Reusable Slide and Coverslip with tap water followed by 70% ethanol. Handle gently to avoid damage. Dry gently and thoroughly with Kimwipes. Wrap in lens paper and store in a safe location.
! Do not press down on the LUNA™ Reusable Slide and Coverslip.
! Do not apply excessive force to the slide chamber when handling.
! Do not leave the LUNA™ Reusable Slide and Coverslip in solvents for extended periods of time.
! Do not sonicate the LUNA™ Reusable Slide and Coverslip.